Comedy Of Errors: Mistakes You Probably Missed In These 10 Popular Bollywood Movies! The impact of Bollywood movies has always been massive, with fans that can be found in every corner of the globe. So it's no surprise that there is a lot of pressure for movies to be dot-to-dot perfect. However, filmmakers are human, and naturally, even the most talented ones tend to have slip-ups every now and then. Filmmaking is a comprehensive job and does demand attention to detail. But aren't we such loyalists?! We happily ignore all the mistakes that we see in the films or the vibe and the standing of a film is so strong that we don't even notice the errors. These errors are often minute but it's always fun to watch them later. In case you've missed the mistakes in the biggest blockbusters from last year, here's a list. This Sara Ali Khan and Sushant Singh Rajput starrer was a treat for all romantics. While Sara was essaying the role of a bubbly and bold girl from Kedarnath, Sushant was playing a shy guy in love. The movie did receive a lot of attention for its cute storyline but not without some errors. 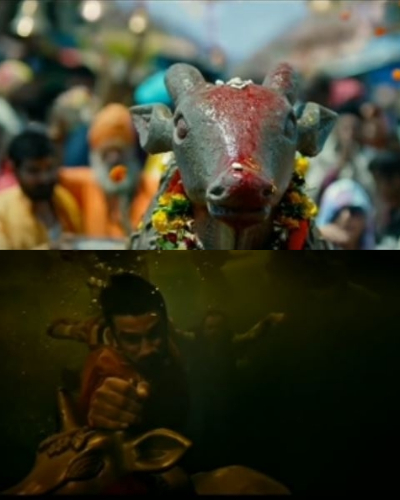 Throughout the movie, the Nandi idol shown is of a stone (which is the original idol in Kedarnath) but during the flood, the same idol is shown to be of gold. In another scene, when Sara is sitting on the horse's back while talking to Sushant, a red cloth is seen behind him. However, the cloth randomly disappears in the next scene. Aishwarya Rai Bachchan's comeback movie had the best possible cast. I mean, if you have Aish, you have the jhakaas boy Anil Kapoor and of course, the badass babua Rajkummar Rao, you're sorted. But the film still didn't do as well as expected. 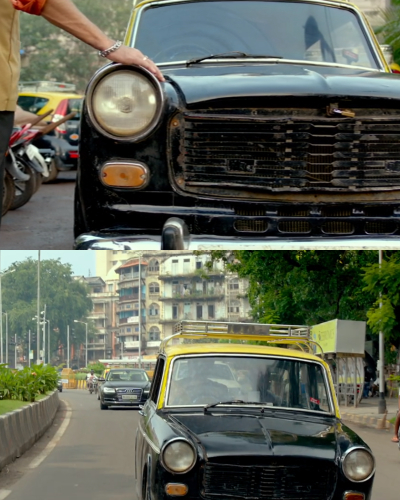 In one of the scenes of the film, when Anil Kapoor is moving towards his taxi there's a lock on his car's bonnet but it vanishes as soon as he starts driving. 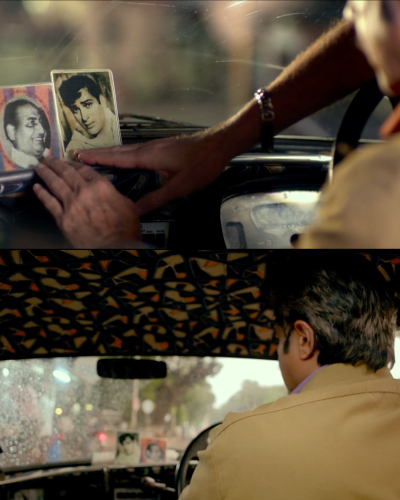 In the same scene, as he sits inside the taxi the picture of Shammi Kapoor is set on the right side but after he starts driving, it moves to the left. Thanks to Akshay Kumar, Kunal Kapoor and other actors' performances and the history of hockey, Gold became one of the most remembered sports films for India. A scene in the song Chadh Gayi Hai, when the team and seniors are celebrating, Akshay Kumar is seen without a turban and in his next scene, he starts performing with a fancy turban on his head. Sanjay Leela Bhansali is a man of perfections. No one does details like SLB. However, even the best creations are flawed and we call it art. 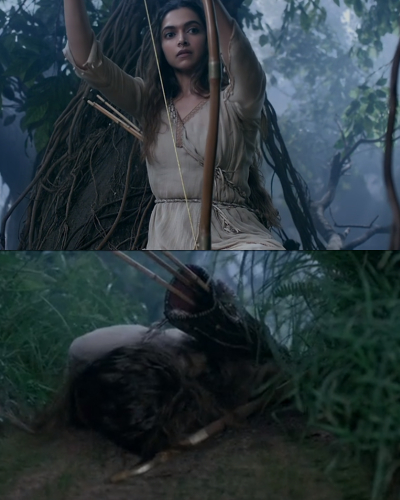 Padmaavat has a scene where Deepika Padukone as Padmavati is hunting a deer. After pulling one of the arrows, the number of arrows left in her quiver is three. However, even after using a couple of arrows while running after the deer, the number of arrows in her quiver doesn't change. In another scene, Aayam Mehta as Raghav Chetan is telling Khilji (Ranveer Singh) about Padmavati being the most desirable and beautiful woman around. While doing so, he pulls out a lotus with closed petals from a bathtub (even though there is no lotus floating there). However, in the next scene the petals of lotus open by themself. Blown up cars, colourful backgrounds and powerful beats--yes, another Rohit Shetty film that gave us Singham vibes became a box office hit. Even with the fresh pairing of Ranveer Singh and Sara Ali Khan, there was a strong Rohit Shetty charm holding this movie together. As for the mistakes, in one of the scenes, Simmba shows Ranveer Singh sitting on the bonnet of his jeep with a plate which has two samosas. Ranveer Singh is talking to the culprits while putting ketchup on his samosas but in the next scene, he hands over the plate to another police member and now, the ketchup from the samosas vanish and the number of samosas changes from two to three. In the very next scene, one of the samosas is shown half eaten. No, Simmba didn't eat it. A movie for girls, by girls. 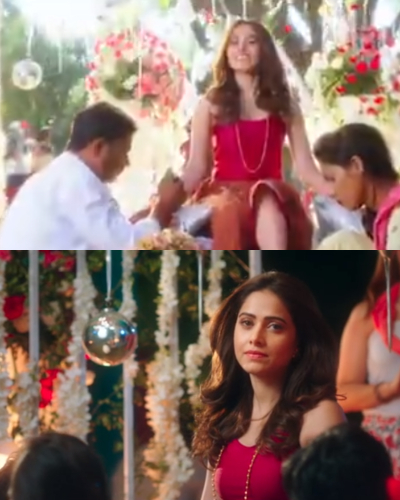 Veere Di Wedding was all about girl power, self-love and friendship. However, this 'Kapoor' production, did have some spottable mistakes. 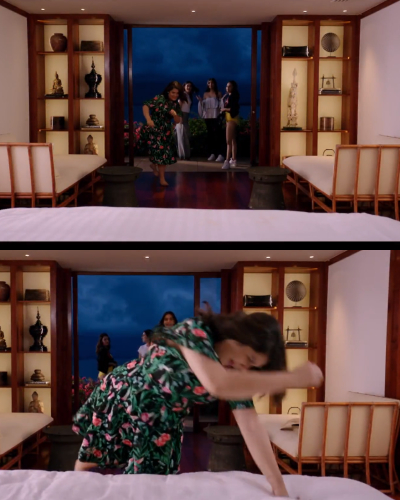 In the scene where all four friends have reached their holiday resort in Phuket and Meera (Shikha Talsania) is ready to jump on the bed, in the background, Sakshi Soni (Swara Bhaskar) is standing towards the right and there is no bag on the white sofa. However, in the very next scene, Sakshi is seen standing on the left side and a bag appears on the sofa. The Pyaar Ka Punchnama boys stole your hearts again, didn't they? Sonu Ke Titu Ki Sweety was a treat to the eyes but not without some mistakes in the background. 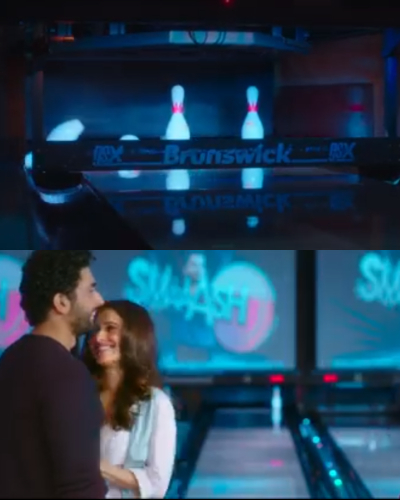 In one scene, Titu (Sunny Singh), Sonu (Karthik Aaryan) and Sweety (Nushrat Balucha) go for bowling. After Sweety's turn, there are two bottles left but as she turns towards Titu and Sonu, only one bottle can be seen in the alley. During Sweety's mehendi, it's obvious that it's daytime and Sweety is getting henna designed on her hands. 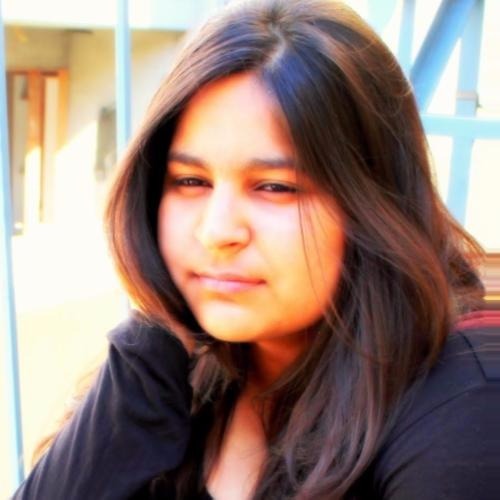 However, by the end of the song Lak Mera Hit, it's evening time and Sweety is still sitting for henna. That's a really long henna session, even for the bride. This super logical film by bhai had become a magnet for memes (yeah, that was a good month) and had a plethora of mistakes. However, I'll stick to a few noticeable ones. Remember the scene in which Salman Khan became Batman? 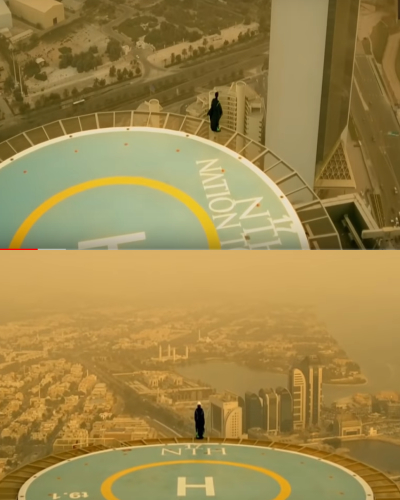 Yeah, right before that, when he is standing on the terrace, he's placed far away from 17 NTH. In the very next scene, his position changes. That's a critical moment, you can't think about walking all the way through, just saying. Bobby Deol as Yash had an orange car with number 31094 in the film. The number and shade of the car suddenly changed to 5942 and while he was driving and arrived at the destination after talking to Sikander (Salman Khan), the number and the shade of orange again changed to 31094. Zero was a very different experience for both, lead actors and fans. So much so that despite the presence of Anushka Sharma and Shah Rukh Khan, Katrina Kaif stole the show. And let's not talk about Abhay Deol. His work is commendable (even in a negative role). 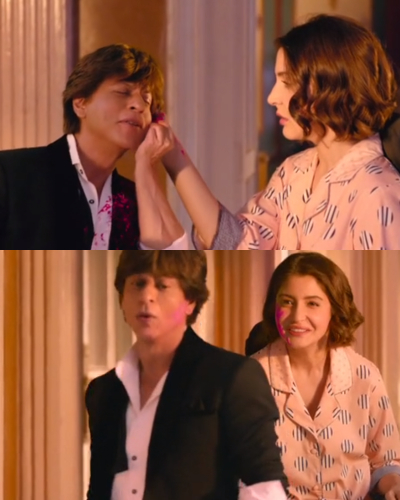 In the song Mere Naam Tu, Bauua (Shah Rukh Khan) and Aafia (Anushka Sharma) are playing with colours and flowers. While applying colour on Aafia's face, some of the colour comes on Bauua's shirt and tux as well. However, when he turns around, the colour's gone and he's back in a clean tux. But well, he's king Khan so that should be the logic. Sanju tried to capture every detail of Sanjay Dutt's life, but we already know by now that it didn't do a great job. The storyline was basically trying to convince the audience of Sanjay Dutt's innocence, which was later accepted by Raju Hirani. 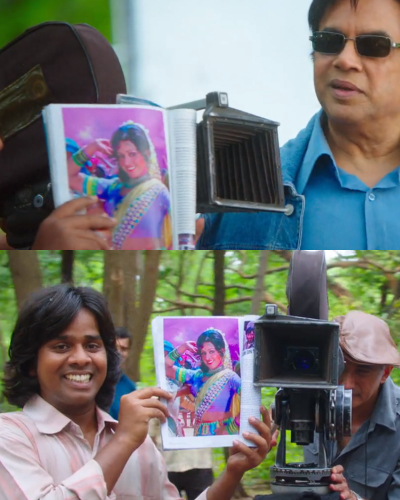 In the scene where Sanjay is shooting for a film with his father Sunil Dutt, to get the right expression out of the actor, he is shown a magazine with Hema Malini's picture on it. The next page of the magazine doesn't have a picture at the top left, just text. However, after a few shots, a picture of Gabbar can be seen on the top left. Also Read: 10 Silly Mistakes In Bollywood Movies That You Might Have Missed Out On!